When disaster strikes and you are in need of relief, call the disaster restoration Metro Detroit experts at 911 Restoration Metro Detroit for expert care by licensed technicians. Whether it is fire, water, or sewage damage you can count on our disaster restoration Metro Detroit pros to remediate and restore your home to better than it was before disaster struck. The longer damage is allowed to sit, the higher the cost of restoration, which is why our disaster restoration Metro Detroit techs recommend that home and business owners call us as soon as possible. Accidents are spontaneous, so our disaster restoration Metro Detroit pros are proud to be available 24/7/365 in the event that you need us on Christmas day or in the month of May. So, call our disaster restoration specialists 911 Restoration Metro Detroit for effective and efficient care that is affordable today! 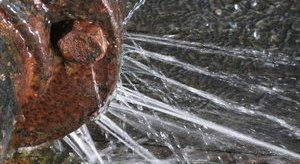 What do a small fire, a pipe burst, and sewage backup have in common? 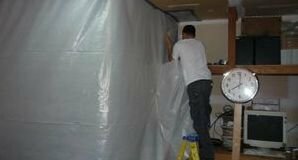 They are all inclusive of water damage, which can be increasingly frustrating especially after the fact. Water is formless by nature, so it floods the home in an irregular fashion. For example, water used in a kitchen firefight, may find itself deep within the foundations of the home and then it can swamp your crawlspace. Moreover, a roof leak can seep into your drywall, which can confuse a homeowner as to the true cause of damage. Nonetheless, unresolved water damage can result in mold. This is a literal headache in itself, as mold spores exacerbate allergy symptoms. The dangers of a mold infestation are really in what can happen to the structural supports to the home. It will eat away at drywall and consume your support beams. Therefore, remediating the underlying causes the right way, the first time around, can be of great help to saving homeowners the big bucks. These accidents can be sporadic and happen with no rhyme or reason, so trust that our disaster restoration Detroit team has what it takes to alleviate whatever is troubling you. So, call our disaster restoration Metro Detroit pros at 911 Restoration for the best care possible today! Any company can tell you they care, but few companies show it the way we do. When you call our disaster restoration Metro Detroit techs, we show up fast with guaranteed same day service for whatever problems you may be facing. But there are more ways to show you we care than just that. Our disaster restoration Metro Detroit team is trained to he utmost degree, because we want to make sure that everything we do goes beyond industry standards. Cleaning ash and soot from a fire may differ from vacuuming sewage waste, so our disaster restoration Metro Detroit crew needs to be capable of handling the varying equipment required to make your tomorrow fresh and renewed. Furthermore, our years of experience, makes our disaster restoration Metro Detroit unit equipped to assess the damage and explicate every inch of the restoration process to you. We believe in fully informed consent, so our disaster restoration Metro Detroit experts do not begin working on your home until the cost and process is fully explained to you. On top of that, if our disaster restoration Metro Detroit crews run into any cost changes we quickly notify you. But that’s not even half of it. We truly believe in making sure you’re in the right state of mind through all of it, so our disaster restoration Metro Detroit pros handle the insurance company for you. Our disaster restoration Metro Detroit agents are versed in different insurance policies, so that we can maximize that for which you are entitled. If you’re in need of restoration services that are unrivaled, give the disaster restoration Detroit team at 911 Restoration a call today! Hail storms in Detroit cause property damage ranging from broken windows, shattered roof tiles, and dents in the exterior walls to water damage and mold growth inside once the hail melts into water. 911 Restoration of Metro Detroit offers full scale disaster restoration services to fix any issues that hail may cause to your home or commercial property. We are licensed, insured, and bonded to provide all restoration services resulting from storm and hail damage, including flood cleanup and mold remediation. From the initial free visual inspection we provide to the property owners to the last coast of paint and final walk through, we will bring your property a fresh start. Call our disaster restoration company for same day service and enjoy the customer service you can only find from a team who truly understands and cares about your needs.